Cross-country running is both challenging and rewarding, and students can see tangible improvements made from their training. This fall program is inclusive so all boys can participate and work towards personal goals without the worry of being cut from the team. 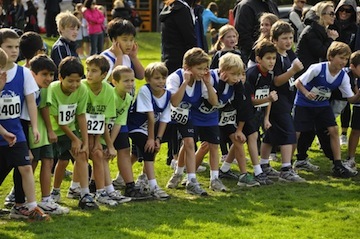 The boys compete against some of the best runners in Ontario every week in the fall. Boys continue on with their love of running at the Upper School, where the cross-country team of about 50 boys consistently qualifies runners for the Ontario championships. They train together every day and workouts are catered to individual strengths. No experience is required and students may join at any point in their high school career. UCC boys excel in the sport and have experienced success in various competitions.